a girl who believes in long bike rides, messy hair & treasuring moments. in living bravely & truthfully everyday. in finding happiness in the details. 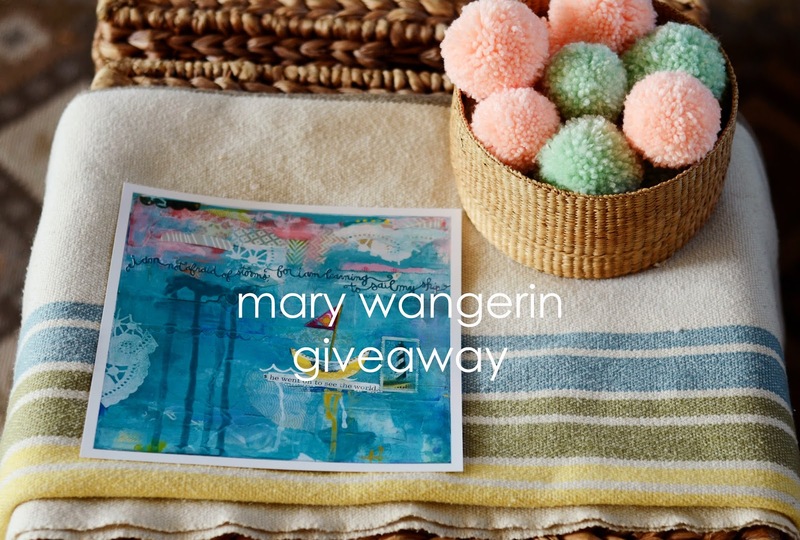 i am so excited to share the amazing work of mary wangerin with you this morning! 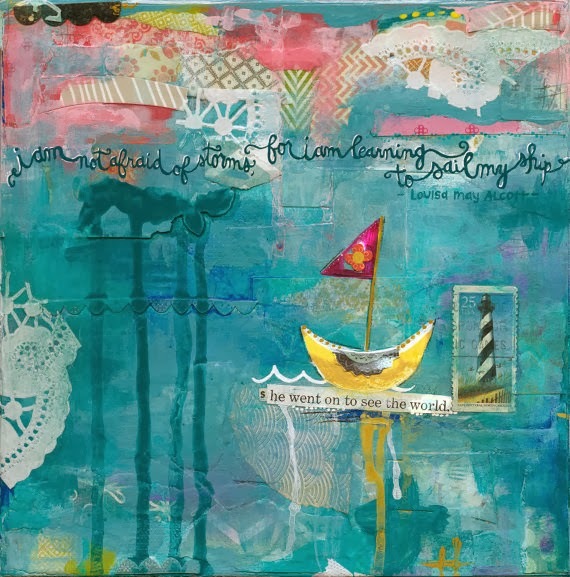 mary paints colorful magic & shares it on her etsy shop in original artwork & prints. i love her work because it's messages are little reminders we need throughout our days. "there is freedom in letting go"
"trust the process (+ yourself)"
& one of my favorites - "bravery suits you"
1. comment below with your email address & one phrase or quote that inspires you. i'll randomly choose a winner on thursday, march 13th, at 8 am & share the winner within this post on friday, march 14th. p.s. can't wait to win her work? enter "FRIENDSOFNATALIE" to receive 20% off your purchase at checkout. all comments closed. congrats, michaela! you're the winner. i will email you shortly! Love her stuff! I've always loved Mary Oliver's quote (it's from a larger poem) "Sometimes you only need to stand where you are to be blessed." Beautiful happy paintings! :o) I would be very happy with one (or more) of them! "Life starts beside our comfort zone." I liked Mary's Facebook page, and follow on Instagram. One of my current favorite quotes is "Never, never, never quit"
Truly inspiring! Although making a list and crossing off the 'to dos' is a good feeling its still important to let your creative self be free and get your hands messy! Love! "Today is a great day to learn something new!" Her work is so beautiful! One of my favorite quotes (or Bible verses) is: She is clothed with strength and dignity, and she laughs without fear of the future. Love her work!! 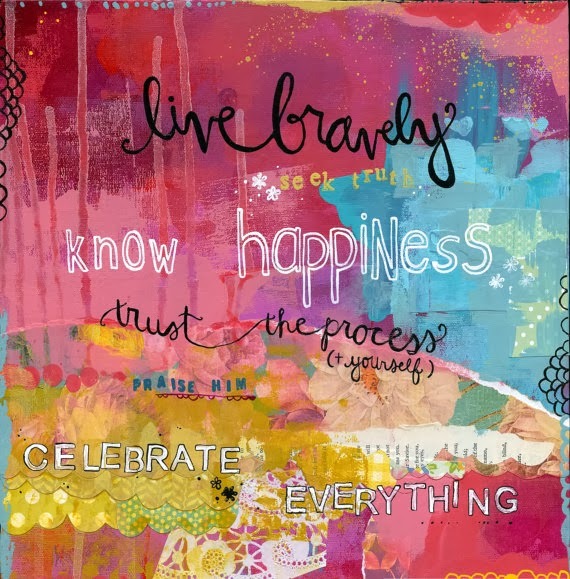 I first "found" her through Artful Blogging :) I like her words "Celebrate everything" in her art above. 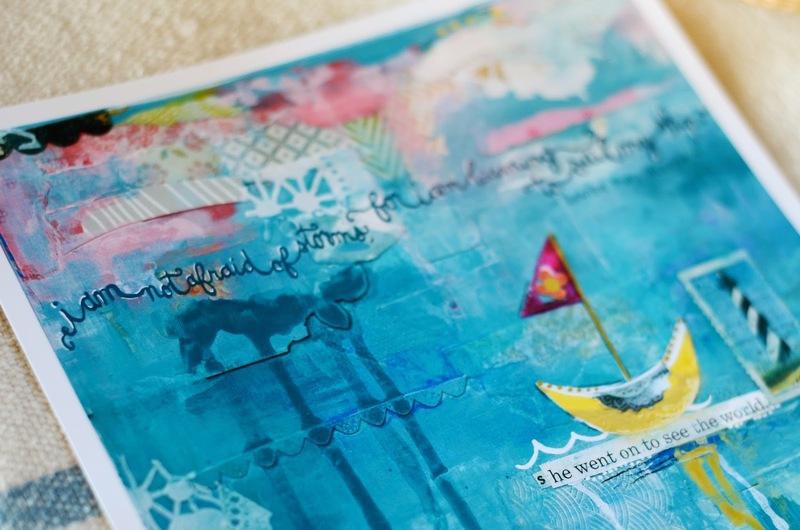 I love the Louisa May Alcott quote you have pictured here! I'm now following her on instagram. My favorite quote is from e.e. cummings: "It takes courage to grow up and become who you really are." Thanks to you both for the opportunity to win! My favorite verse and love Mary's work! I've been a little anxious about the birth of my second child (any day now!) and this verse jumped at me yesterday. Balm! I don't know who this quote originated from, but when I was having a hard time during a particular semester in nursing school, my classmate gave me a print that read "Courage doesn't always roar. Sometimes it is that quiet voice within that says - I will try again tomorrow". I still have that piece of paper and it's helped through many a tough time. Thank you for introducing Mary and her beautiful work to me. I'm following her now both on IG and FB! "...going to the mountains is going home; that wilderness is a necessity." "We are as indestructible as we believe ourselves to be." --John Green. 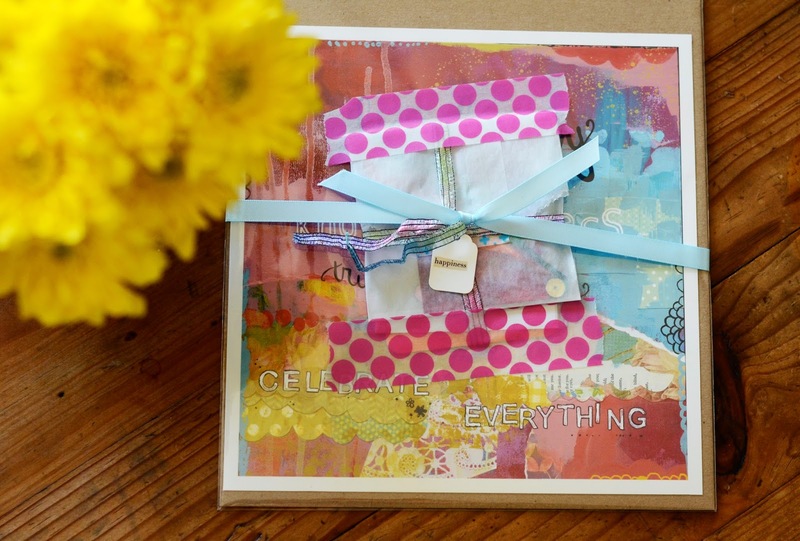 "Celebrate everything" is my Mary fav cause it's my mantra too! one quote that has greatly inspired and impacted me over the past few years is julia cameron's quote: the capacity for delight is the gift of paying attention. Mary is BEYOND talented... and such a graceful soul. "Make a JOYFUL noise unto the Lord" is my current motto, meaning i need to use my voice for a positive force only. "Live your life in such a way that those who know you, but don't know God, will come to know God because they know you"
oh how i adore mary wangerin. ooh such gorgeous artworks. I'm wanting to make an 'it is well with my soul' artwork of some description for my house. I also love 'the sun comes up, its a new day dawning, it's time to sing your song again. whatever may pass and whatever lies before me, let me be singing when the evening comes'. I'm following Mary on instagram! Oh, I love those! So pretty. I just bought Dierks Bentley's new cd, and so I have the lyrics of "Riser" going through my head. It's inspiring me right now.